This Synthetic brush is coarse enough to exfoliate the skin and compact enough to create a warm hot lather. Its a solid piece in weight, being of a high quality chrome. 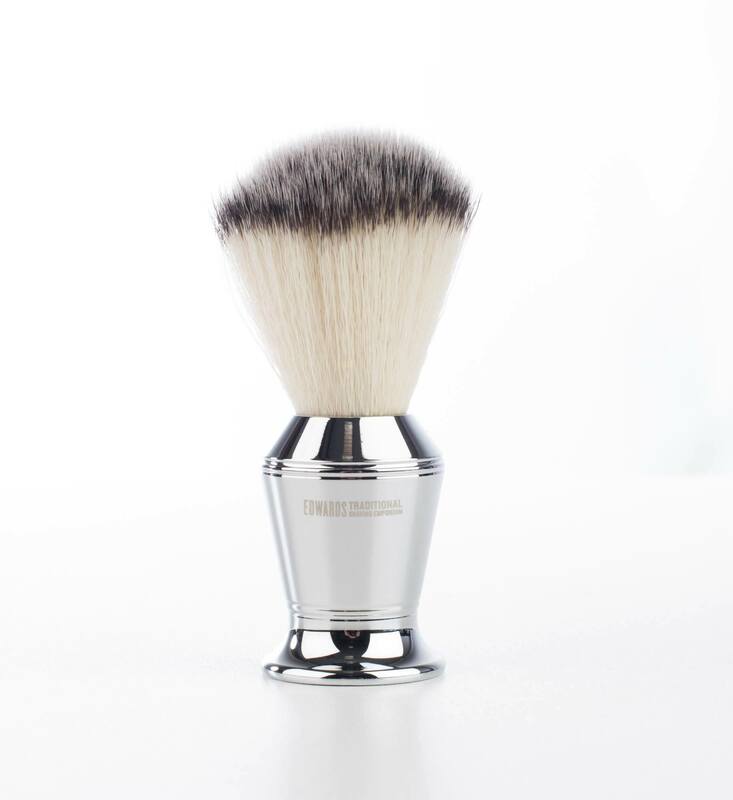 The Edwards Chrome fiber shaving brush is a glamorous piece. Also not only shaped well for the hand, the design has Persian jar look. 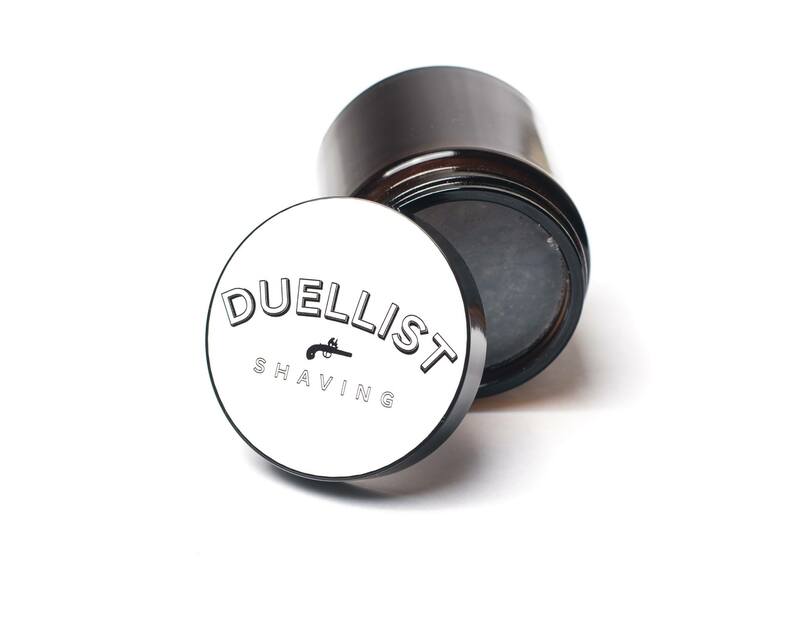 Shaving with this brush will create a great lather not only this but it exfoliates well. Also a ethical brush as the knot is fiber and not from an animal. The brush feels of a high quality, well weighted due to the chrome body and the hair does not shed. 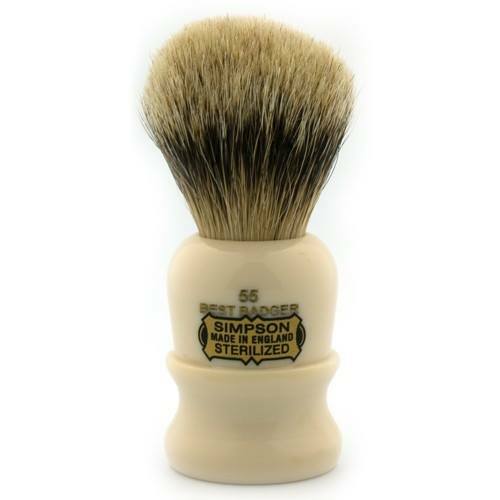 This brush would be great with any of the shaving creams we sell. Also with any shaving soaps we sell. A lather is nice to make in a bowl or mug. Or you can lather directly on your face. 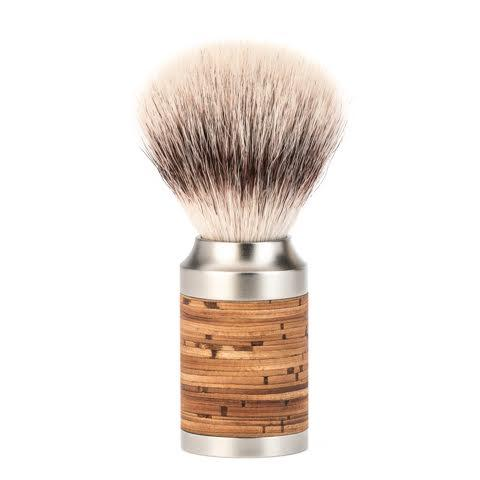 We are proud wholesalers of some great shaving creams and soaps and this very well price brush, is a great companion. Free U.K delivery is a great perk of using our most excellent of services. We provide an international rate of £8.50. The attached link is for one of our top shaving creams, the Simpsons rosemary and peppermint. 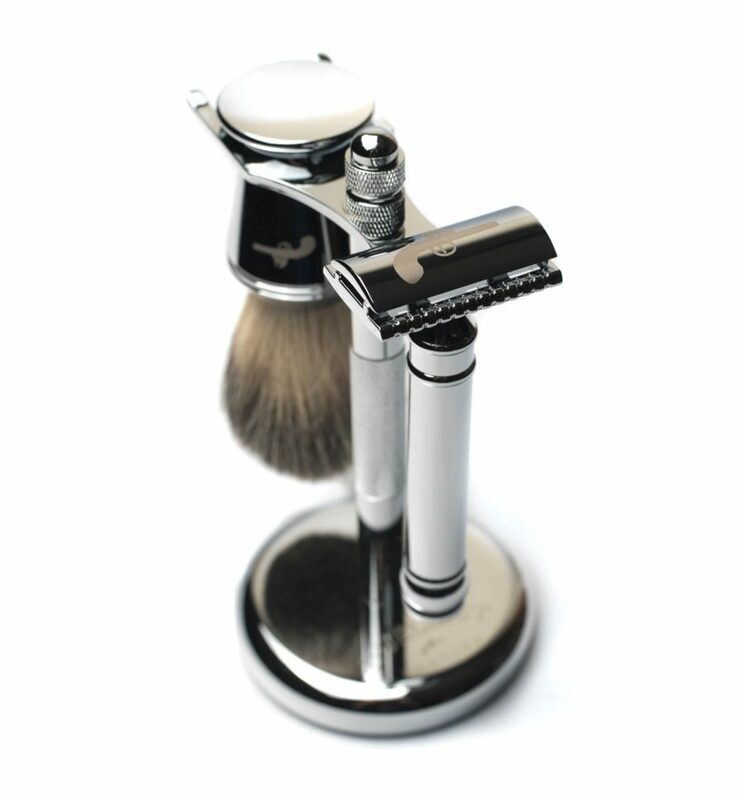 This is a hardy shaving brush that will provide the user with a great amount of lather. Very easy to clean by Just rinsing and shaking in water. It is also accompanied by the Edward’s lifetime razor both of which are our proudest creations. Obviously we are pro our own goods but using this fine brush really makes you feel great. Also it is a big part of our ethical stance on non disposable plastic.